Simple velcro wrap for use with Thudbuster seat posts. Required for Revelate seat bag use with the LT version. 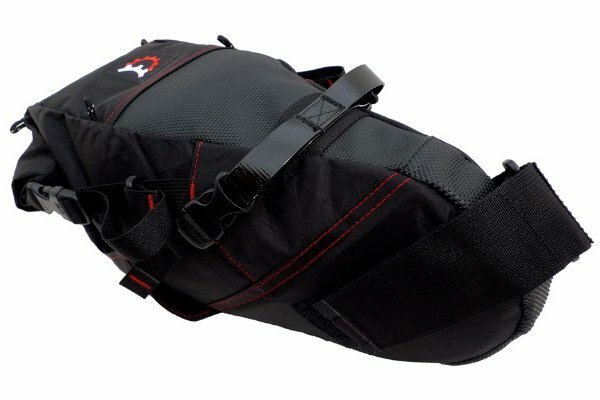 Revelate bags are well made from quality materials and will stand up to the use for which they are designed. In standing by this guarantee, Revelate Designs provides a warranty to the original owner on all products against defects in materials or workmanship. If any issue arises please contact us for evaluation. If an item is found to be under warranty we will repair or replace at our discretion, free of charge. Not covered by warranty are damages due to improper use and care, general wear and tear including zippers, and damages due to accident. If something needs service we can repair it (usually) for a reasonable labor and materials fee. This warranty gives you specific legal rights, and you may also have other rights which vary from state to state.